Who said a well-rounded fire pit couldn't be flattering? 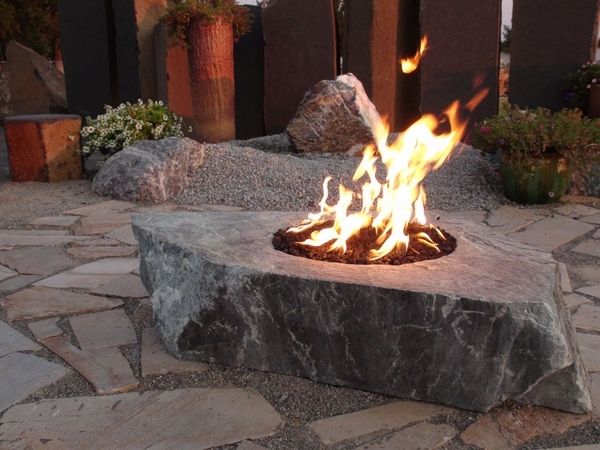 This commercial grade, 14" round Hearth Products Controls fire pit insert comes fully assembled and is manufactured from high-quality #304 stainless steel. 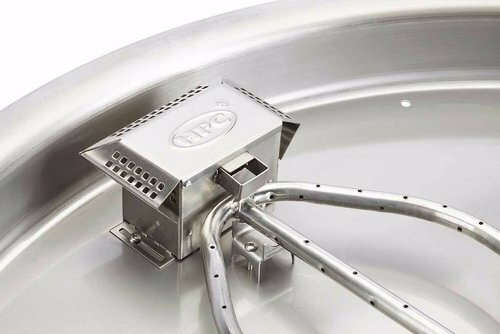 Featuring a 12" round, raised hub flat burner with weep holes for water drainage, this mighty little unit emits up to 90k BTUs of flickering heat. You can even sit back and enjoy the luxurious convenience of controlling your unit using the fully-loaded flame adjustable remote control that comes with your purchase. 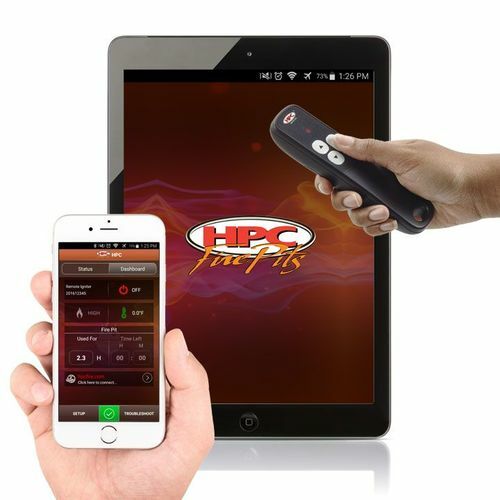 If that isn't enough, download the HPC app and control the height of your flames using your smartphone or smart device. It's really that simple. 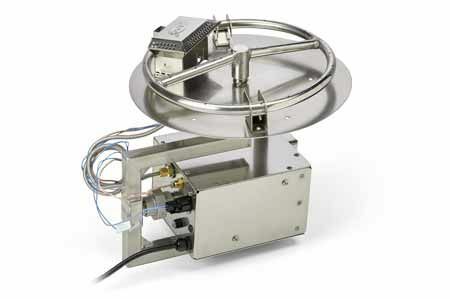 These 120-volt flat round models are ideal for enclosures with recess mounting and built-in internal sidewalls to hold your decorative media in place. Whether you enjoy the scenic serenity that lava rocks and river rocks bring or the contemporary feel of colored glass, you can purchase each of these accessories separately here. Preserve the new condition of your fire pit by adding a custom vinyl cover to your shopping cart. 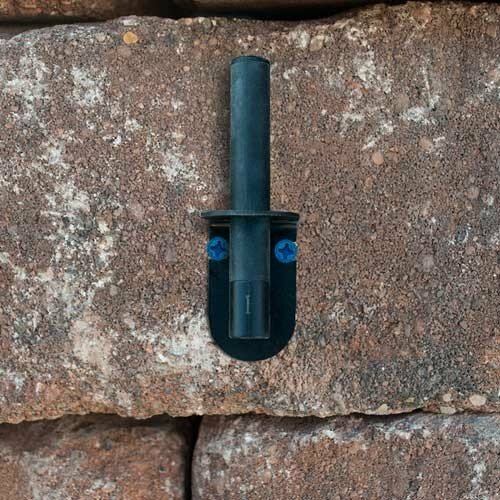 If you like to set it and forget it or like have extra measures of precaution, don't forget to add an electronic timer and an emergency stop key, which will likely require a power adapter to ensure voltage compatibility.